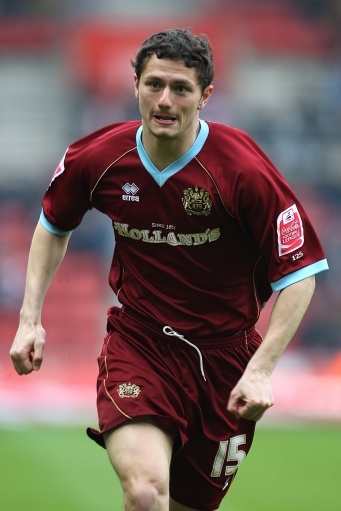 DONCASTER Rovers are looking to secure a deal for former Burnley and Bournemouth midfielder John Spicer. The midfielder who played under Donny manager Sean O'Driscoll, was released by new Burnley gaffer Owen Coyle at the end of the season, and he could soon be signing at the Keepmoat Stadium. O'Driscoll has already opened talks with the 23-year-old former Arsenal man and is very keen on him to replace Paul Green who left for relegated Derby County. Speaking about the possibilty of signing Spicer, O'Driscoll said: "John was somebody that I had whilst I was at Bournemouth, and he did very well. He then moved to Burnley and I don't think that worked out as well as he hoped it would. We thought at the time that it might be a bit too early for him. "He's available now and has four or five clubs interested in him. We've talked to his representatives, and to John himself, and everything is moving forward. "I would hope that the previous association would stand us in good stead. With all these things I think that we encourage people to ensure that this is the right move for them. It is no use in having an unhappy player, so if he's got four or five other clubs interested we have no problems in him speaking to them and I think that process is going on now. "We're due to meet again next week and I think that something will probably be formulated then." Donny Days understands that fellow promoted outfits Swansea City and Nottingham Forest have spoken to Spicer, along with League One side Huddersfield Town. It is also thought that initial talks have been held with Spanish Secunda side Elche Club de Futbol after his former team mate Gifton Noel-Williams recommended the move. Meanwhile talks are thought to be at an advanced stage between Doncaster Rovers and midfielder Garreth O'Connor, who was also released by Burnley at the end of last season.